BIRMINGHAM, UK – A new study by Climate-KIC shows how towns and cities can chart a path for a successful transition to a low carbon economy. 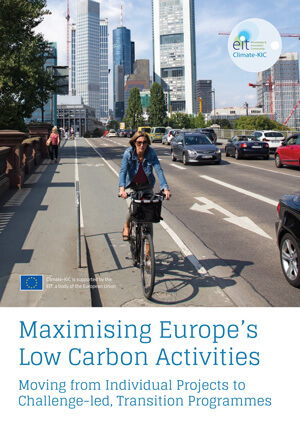 The report, ‘Maximising Europe’s Low Carbon Activities: Moving from Individual Projects to Challenge-led Programmes’ assesses programmes where public authorities have recognised the limitations of a traditional project approach, and moved towards more comprehensive programmes. More information about the new Low Carbon City Lab programme is available on the Climate-KIC website at https://www.climate-kic.org/programmes/low-carbon-city-lab.